Mandarin Oriental, Doha is an urban property located in the centre of Msheireb Downtown, the new destination for leisure, living and business in the heart of the city. Al Rayyan Tourism Investment Company and Swiss-Belhotel International have announced the signing of a management agreement for the Swiss-Belinn Doha in Qatar. Qatar has launched its first global destination campaign aimed at positioning the Arabian Gulf country as an attractive destination for authentic and bespoke experiences. The winter cruise season has kicked off in Qatar with the Boudicca docking at Doha Port earlier. The season, which continues until April, is expected to see nearly double the number of cruise ships that arrived in the 2017/18 season. An enhanced experience awaits campers and beach-goers heading to Qatar’s Khor Al-Adaid this winter, organisers of the Al Enna project have announced. Qatar Tourism Authority has signed a memorandum of understanding with the German AIDA Cruises and the Italian Costa Cruises. Dusit International has signed a management agreement with the Al Majed Group to operate Dusit Doha Hotel. Set to open in quarter four of this year, the property will be the group’s first Dusit-branded hotel in Qatar. With the destination rolling out visa free access to dozens of new countries in 2017, Qatar is seeking to boost its position in international tourism. 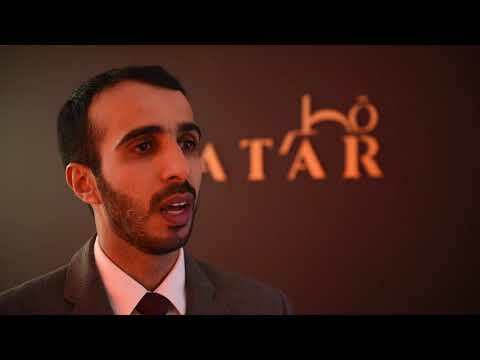 With preparations for the FIFA 2022 World Cup also coming under the spotlight, there is plenty to talk about as Breaking Travel News catches up with Rashed Al-Qurese, chief marketing officer at the Qatar Tourism Authority, during World Travel Market in London. Qatar Tourism Authority is unveiling its new campaign, ‘Qatar Welcomes the World’ at World Travel Market. The prestigious trade show WTM, in London, is the ideal platform for QTA to showcase its new messaging to the global travel community.